Show What You Think and Know! Welcome to my site, digichica. This contains the musings, thoughts and ideas on all things educational technology from Adrienne DeWolfe. Use it to support my workshops or simply as a resource. My approach to teaching is grounded in my belief that all children are talented, intelligent, unique, and possess a strong curiosity that makes them love to learn. It is my job as an educator to excite their curiosity, guide them in learning, and instill in them a desire to learn that will last a lifetime. Although I’m no longer in the classroom, I continue to teach through my work with educators and parenting my own digital natives. I love to teach because I love to learn. My interest in educational technology began when I was first teaching 5th grade and saw its potential to ignite, excite and empower learners. In June 2002, I received my master of education degree at Harvard University in the Technology in Education Program. Since then I’ve worked as an Ed Tech Specialist in multiple counties and as an education consultant. I have presented workshops in many venues and specialize in online safety, digital citizenship, online learning, web 2.0, iPads and project-based learning. I developed the state-wide training materials for the California School Law Enforcement Project on cyberbullying. 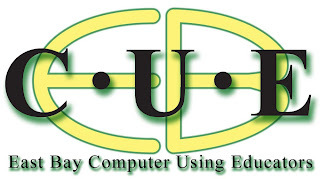 I served on the East Bay Computer Using Educator Executive Board for 7 years, and I am a certified Leading Edge Online Teacher. If you are interested in scheduling a workshop, please contact me.